NVIDIA's latest graphics card, the GTX 650 Ti, was released in October last year. 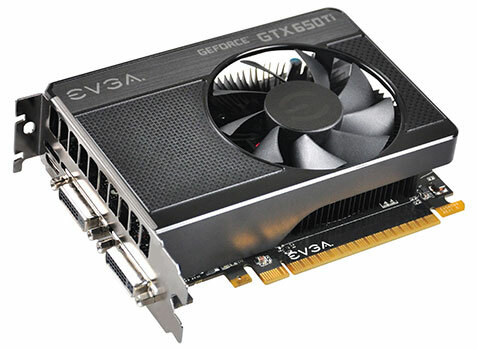 A successor to the GTX 550 Ti, the product helped NVIDIA seal a gaping price-point hole between the GTX 650 and the GTX 660. Positioned at roughly $150, the new card is designed to yield a price/performance edge over two AMD Radeon models, the HD 7770 GHz Edition and HD 7850 1 GB. The EVGA GTX 650 Ti SSC comes out of the box with an increased GPU clock of 1072 MHz, but memory clock has remained unchanged. EVGA has doubled the video memory size to 2 GB on their SSC design. We will see whether the extra memory makes a measurable difference. Pricing of the card is $180, which means EVGA is roughly asking a $30 price premium over the reference design.